Kenya : Al Shabaab has claimed a Kenyan hotel attack on Tuesday. A group of gunmen stormed into a hotel and office complex on January 15, killing at least 15 people in the open gunfire. 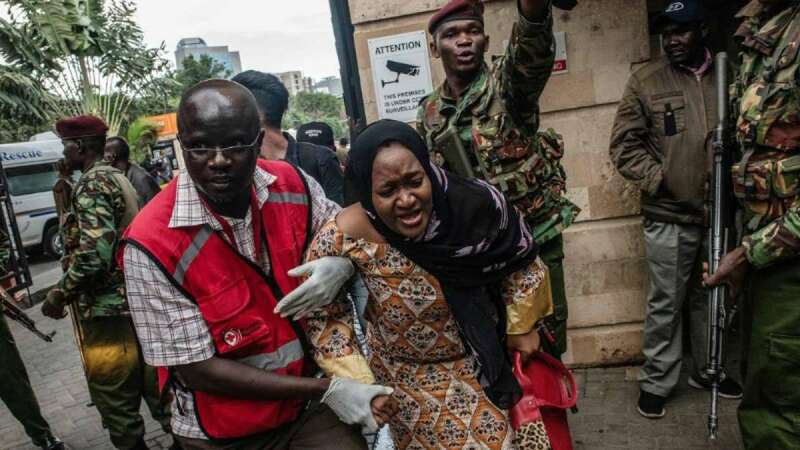 12 hours after the assault began at Nairobi's upscale 14 Riverside Drive complex, fresh gunfires and blasts were heard from the area, undermining government's assurance that everything is under control. By 1 AM, 15 dead bodies had arrived at Chiromo Mortuary and more were expected, an attendant told Reuters. According to the identification papers received, 11 people are Kenyan, one was American, one was British. The identification of other two bodies could not be done as no official document has been received so far. “We can confirm that a U.S. citizen was killed in the attack,” the official said without giving further details.